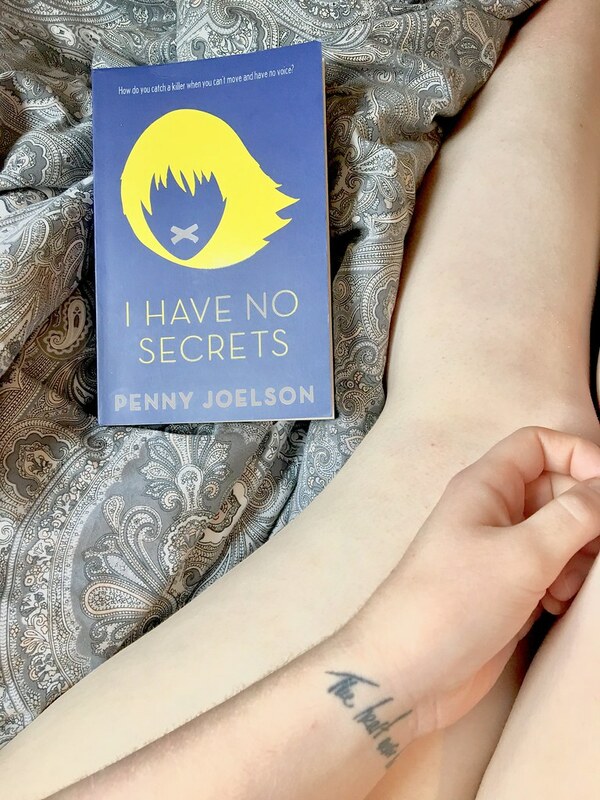 I picked up Penny Joelson’s debut novel ahead of YALC this year, knowing she was attending. Admittedly, i knew absolutely nothing going in to this book. I’d read the back and although it reveals it’s a mystery, it doesn’t give much more information. However, when you start reading, it reveals a lot quickly. Jemma has severe cerebral palsy, something that Joelson learned a lot about when she worked with children with disabilities. It’s not an own voices book, and you can definitely tell that, but it seems to have a lot of research behind it. I Have No Secrets ended up teaching me a lot about cerebral palsy and the kind of brain function that people have who live with the condition. I admittedly knew nothing about it, so i feel like if anything this story teaches people about the condition a little more. We learn that Jemma lives a frustrating life where she has the brain function of any other teenager, but her main problem is that she cannot speak. The book takes us through many infuriating situations that Jemma want’s to speak up in, and shows us how difficult life can be when you can’t communicate with those around you. These include some of the twists in the novel, the mystery aspects to it. I won’t go in to too much detail of those mysteries and plot twists, because essencially that’s what the story is made up of. However, i will say i found it to be a little cliche, something that you can say at the start ‘this will definitely be resolved in the end.’ I enjoyed the different kind of story-lines that were apart of this novel, and learning more about all the foster children in Jemma’s home was interesting. But it did feel slightly cliche YA novel at times. I ended up reading this book in just two days. If you didn’t know, that’s ridiculously fast for me. It’s a really easy read that makes you want to read on and on through every chapter. There’s a lot of punch packed in to 300 pages and a lot of information that you can learn from. The writing was a little average, maybe it had a slightly younger tone than i was expecting, and i found that Jemma seemed a little older than she actually was. I’m really glad i decided to read this book before YALC this year. I’m excited to now meet Penny Joelson and hopefully find out a little more about what spurred her to write such an impactful and informative story. I genuinely thought it was a wonderful mix of contemporary and intrigue in a YA novel, and i hope more people decide to pick it up. Pick up your own copy of I Have No Secrets on Amazon* and read more about it on Goodreads.